The hobby of quadcopter drone flying is a relatively novel hobby. Even so, quadcopters have proven themselves fun and useful during the short time we’ve been flying with them. Nowadays, the copter industry is on the rise and many models exist. Among those, there are drones dedicated to aerial cinematography and photography that make breathtaking shots of the highest quality. These drones are professional level drones, as they are meant to be used by experienced pilots, and are the most expensive products on the market. However, if you’re concerned about spending so much, once you’ve seen your photos and videos made by using these drones, you will surely understand why are they priced so highly. If you’re really interested in obtaining one of these, here is a list of the top ten drones with amazing photo and video quality. There are few companies that can stand on a par with DJI, and there are few that can rival the mighty DJI Inspire pro-drone. This craft is a true top of the line product, providing its pilot with all the necessary tools to capture stunning images and videos. With a superb camera and plenty features to offer, this drone doesn’t come cheap, but for those who can afford it, this drone simply rocks. The drone is perfectly suited for photography, that’s a fact. It has moving arms that can raise, allowing you to obtain a 360-degree view around you. Not only that, but the camera can be moved midflight, thanks to the 3 axis gimbal. On this gimbal you can mount a GoPro camera, allowing you to take masterful shots of supreme quality. The drone exhibits many features that enable autonomous flight. You have the waypoint mode that allows the drone to fly along a preset course mapped out on the GPS. The drone can also pinpoint objects using the point of interest mode. In this mode, the camera will fixate on a single object, allowing you to circle around it and snap some good shots or film a scene. The drone boasts a 16 MP stock camera that films in 4k quality at 1080p. It should also be noted that the drone has strong enough motors to be able to stay in flight even when you let go of the throttle. The drone has a flight range of 2 kilometers and can fly for 18 minutes. The flight time can be doubled with an additional battery. A good flight time and great flight range. Arms lift for an unobstructed view. 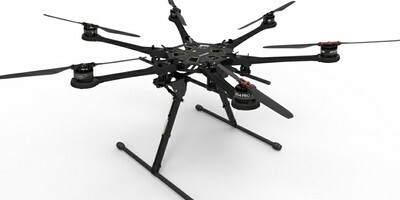 Coming in at spot number two is the DJI S1000 Octocopter. Octocopters are very powerful machines and can take a lot of load with them, making them perfect for aerial filmography. This drone has eight powerful motors that can lift off easily even if you tack on 11 kg onto it. This makes it perfect for carrying high-quality filming cameras. What defines an octocopter is extreme stability. Because they have eight rotors placed in a circular pattern, the copter is very poise even when facing strong gusts of wind. This allows you to really steady the drone and take a good quality shot. The powerful motors also allow the drone to hover with ease, again making it great for stabilizing before shooting in order to ensure the best possible quality of the shot. Furthermore, the number of rotors allow you to make a mistake and the drone will still fly. In case you damage the rotor and in case a motor fails, the drone will still continue to fly. In fact, the drone can experience failure on five of its eight rotors and still remain in flight. The drone doesn’t come with a stock camera in itself. However, it does have a mount that can support a Canon 5D Mk. II or Mk. III camera. If you can afford both, you can rest assured that you are now the proud owner of the best areal photography gear on the market. Very stable and versatile drone. Can experience multiple motor failure and still remain in flight. Can lift up to 11 kg of gear. The Zenmuse Z15 mount allows you to mount a Canon 5D camera. Doesn’t come with propeller guards. Coming at number three is the S1000 little brother, the DJI S800 EVO hexacopter. Though smaller in size and having fewer motors, this copter is a powerful machine in its own right. The drone has excellent stability in the air and is had to knock down even by the most powerful gusts of wind. It is also very fast and maneuverable, as the 470-watt brushless motors drive the craft at very high speeds. These motors are also responsible for the copter’s massive lift which allow it to carry additional equipment without sacrificing speed and range. Like its brother, the S800 doesn’t come with its own camera. It does, however, have an excellent mount that allows you to mount a Lumix GH3 camera. The mount can move around and can be operated in the air, allowing you to get a good angle without having to land the craft. Furthermore, the copter has an expanded airframe trays that let you mount additional electronics when needed. S800 has a retractable landing gear that enables you to get an unobstructed, 360-degree view. it also has superb vibration dampening capabilities that help keep the picture on your camera still. Superb drone with amazing stability while in the air. Powerful 470-watt brushless motors allow it to take off with a great amount of gear. The drone can endure up to two motors failing before it cannot fly anymore. Retractable landing gear allows for an unobstructed view. Vibration dampening capabilities help keep the picture still. Has a mount for a Lumix GH3 camera. Doesn’t come with a stock camera. 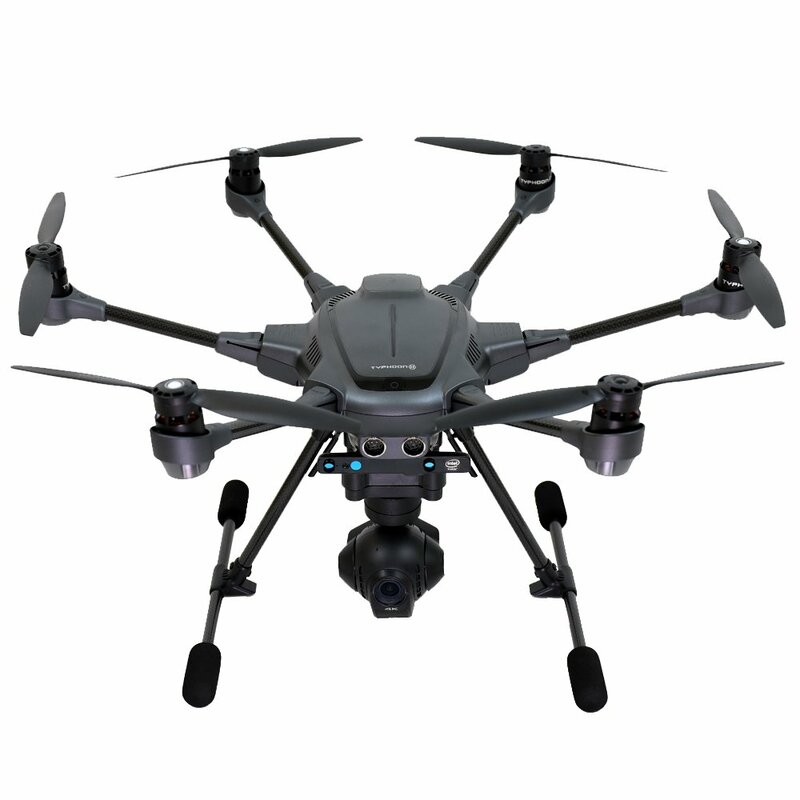 At spot number four we have the Yuneec Typhoon H Pro hexacopter. Being a hexacopter, this craft benefits from increased in flight stability, higher speed, and altitude and more power that allows it to lift more gear. The Yuneec Typhoon is a real professional’s copter, and it has been crafted to be able to support high-powered cameras and other filming gear. The added stability that comes from having 6 rotors allow you to keep the drone put while you align your camera for that perfect shot. The drone also benefits from other things as well. It has the Intel RealSense technology that allows it to avoid obstacles in automated flight and warn you if you’re about to hit something. It comes with 8 smart modes like auto takeoff and landing and auto return home that practically do the flying for you. This, in turn, allows you to focus solely on your photography. The Typhoon has yet another advantage, and this is a stock camera. Typhoon comes with its own stunning 12 MP camera that allows you to shoot video in 4k. The gimbal can turn in a full circle and has anti-vibration capabilities to make the camera as steady as possible for the shot. Excellent stability, speed, and power. Can carry a lot of equipment. Smart obstacle detection and collision prevention system. 12 MP camera capable of filming in 4k. 8 smart flight modes, including auto-return and auto takeoff and landing. The gimbal prevents vibrations, further stabilizing the camera. 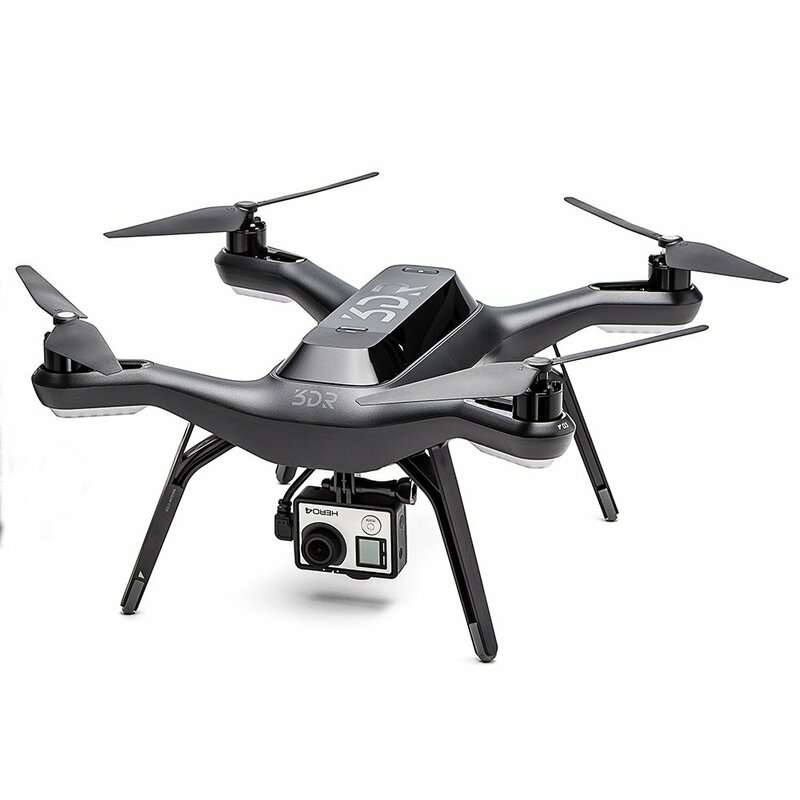 Halfway through our list is the 3DR Iris+ quadcopter. This is a relatively small copter, but don’t be fooled by its size – this is, no doubt, a world class product, a true professional drone. 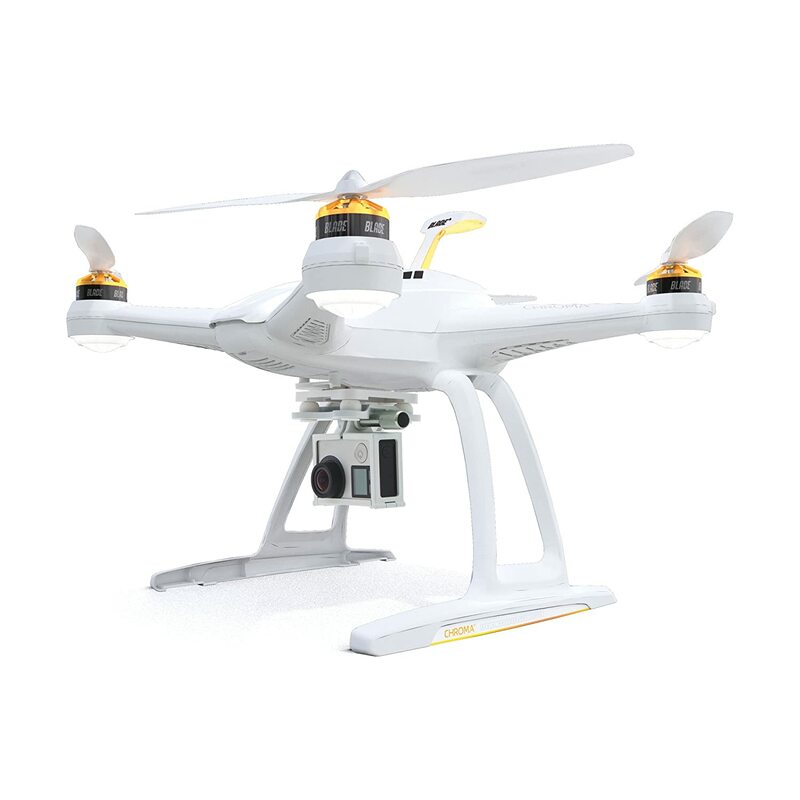 It has superb flight range and a great flight time, coupled with good stability and automatized flight options. The drone’s small size is actually beneficial, because it can be flown in smaller and tighter areas, as well as outside. The drone has an impressive range of up to one kilometer, which is rarely the case for such small crafts. Never the less, the Iris+ flies further than any mid-range drone, fearing it a place with the pros. The drone also has a good battery that allows it to fly off a full 22 minutes, which is quite impressive. However, depending on the amount of equipment mounted and the speed at which it has been flown, the drone can experience variance in the flight time of up to 6 minutes, with the lowest point being 16 minutes. The drone also has auto-flight options that earn it a place with the professional drones. It has modes such as waypoint or point of interest. You can also bind the drone to your computer, laptop or smartphone and use it as a controller, instead of using the standard 2.4 GHz controller. 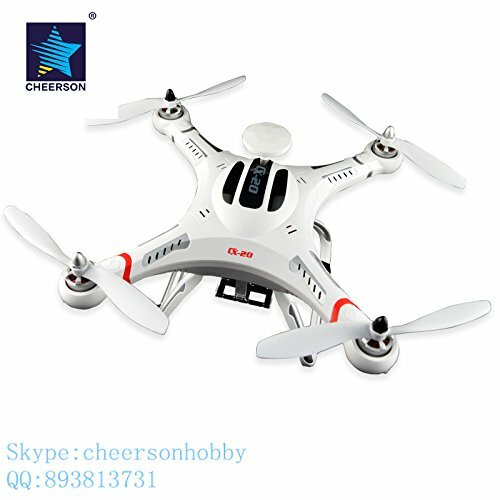 Good quality drone with superb range and great flight time. Very stable drone despite its small size. The small size allows the drone to be flown in tighter areas. The drone supports several automatized flight options, like waypoint and point of interest. The drone can be bound to a laptop or smartphone and flown without the controller. The small size means it can’t carry as much equipment (it carries up to 400 grams). The spot number six is taken by Blade’s Chroma quadcopter. This copter has the best possible value of all photography copters, as it is stocked with the best possible features, but its price is only ¼ of what DJI drones usually cost. As such, the drone has quickly found admirers amongst both the professionals and the beginners. Blade Chroma made it possible for both groups of fliers to enjoy good quality photography at a very low price. The Chroma boasts a 12 MP camera that shoots in 4k, and at 1080 p. This effectively puts it on a par with DJI Phantom 3 and Inspire drones, with Chroma having a camera only 4 MP behind the famed Inspire 1. Not only that, but Chroma also possesses automatized flight options, such as Follow me and Tracking, as well as Point of Interest. But the thing that separates Chroma from the rest is its incredibly powerful battery. Chroma can, on a single charge, fly for a full half an hour. Even with high-class drones, this is incredible. However, the device has a shorter range as compared to pro level drones. It has a decent flight range of 600 meters, only a fraction of Inspire’s 2 km range. Very low price, considering the drone’s performance. Powerful 12 MP camera, films at 1080 p.
Half an hour flight time. Considering the flight time of the copter, it has a relatively short range. Coming up next is the Cheerson CX-20 Professional drone. 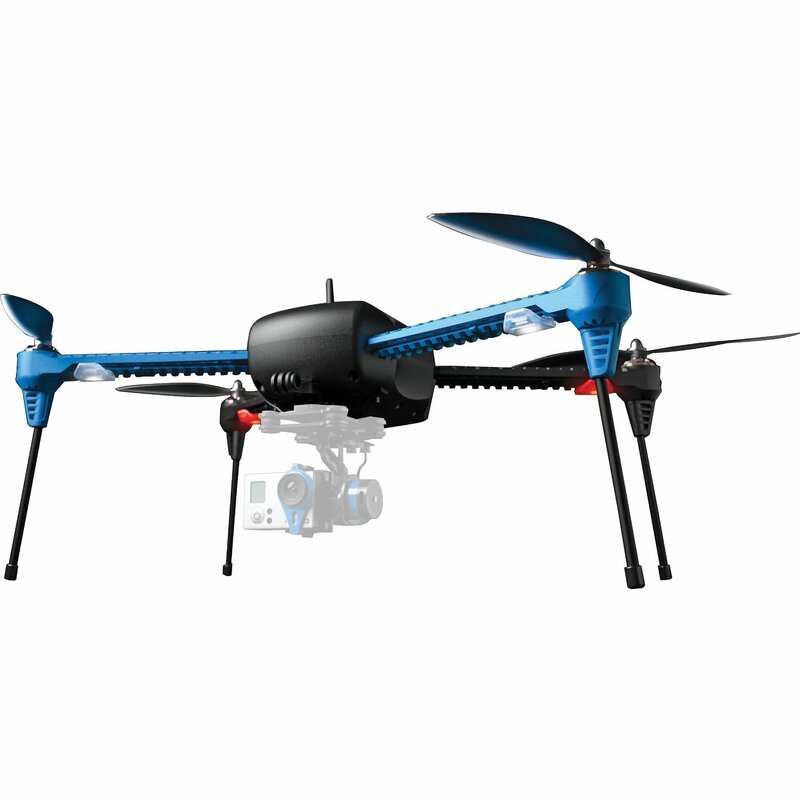 Although smaller drones such as these are usually reserved for beginner fliers, CX-20 is a machine for professional photographers and video makers. The drone doesn’t come with its own camera, but it does have a GoPro camera mount, allowing you to take high-quality photos and videos. However, what makes this drone so special is that it has numerous failsafes in case the craft becomes disconnected from the controller. The drone has a feature that allows it to cut all actions if the connection snaps as if you let go of the controls and reset them to their initial position. Furthermore, the drone has a feature that, if there is still a connection with your GPS and not with the controller, triggers the return home function. This effectively recalls the aircraft to its initial position and lands the copter on its own and without your aid. Considering these features, this is truly a professional level drone. However, due to its small size, the craft is made very affordable with a price not exceeding 250 dollars. This makes the drone very accessible to a wider audience, which is certain to score some points with the customers. As for the battery and flight range, the product performs very decently. It has a very good flight time of 15 minutes, which is about twice the flight time of other mini drones and beginner level crafts. The price range of the drone is also very good – it can fly up to 500 meters away from the controller. The small size of the drone is also beneficial, as it can be easily maneuvered indoors. The drone is an excellent performer, considering its price range. Features a GoPro camera mount. The drone has a couple failsafes that protect it from damage and getting lost should the connection with the controller snap. Good flight range, 500 meters. A decent flight time of 15 minutes, twice the time of entry level copters. Small size allows it to be maneuvered effectively indoors. The drone doesn’t come with its own camera. To make footage, you’ll have to provide one yourself. As we near the end of the list, we have but a few products to present. However, this doesn’t make them any less relevant. On fact, our final products are ones of the best in the market. The first one of them is the DJI phantom 3 Professional drone. 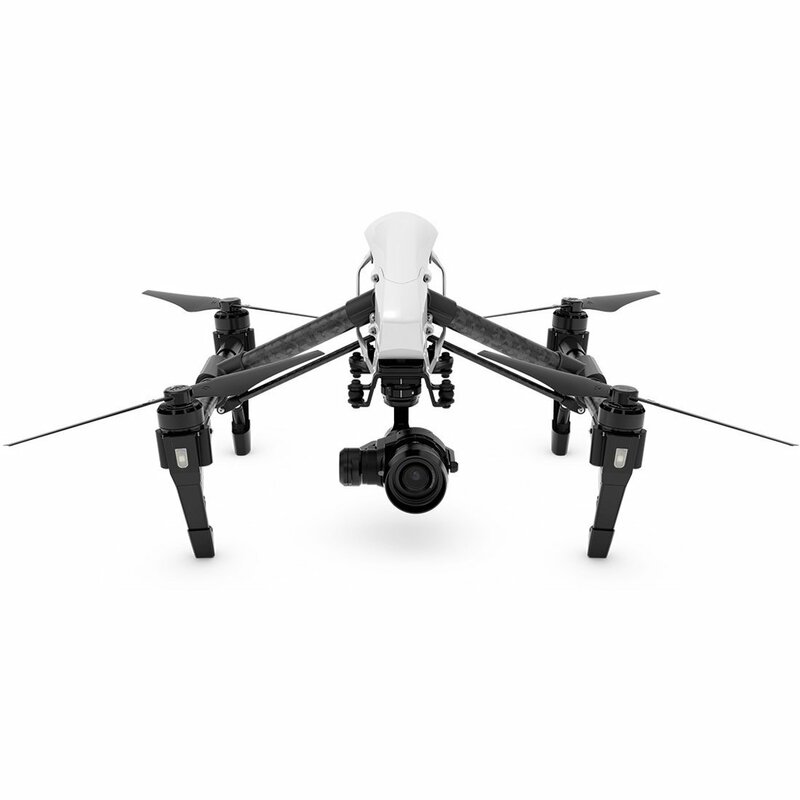 As we have stated earlier in the text, DJI is a world-renown company that makes superb products that are specifically made for high-level photography. This premise holds true for Phantom 3, as it is one of the best quadcopters even with more advanced products existing. The drone features many auto-flight modes and options that make shooting with it not only practical but fun as well. The craft features modes such as follow me which allows it to automatically go after you without your interference. This enables you to maneuver the camera around and capture images and shoot videos with greater care for details. The drone also has the Waypoint function what allows you to set a course on your GPS for the craft to follow. Again, this allows you to better get a bearing of the surrounding and focus on shooting instead of flying the drone. As for the camera, the drone features a 12 MP camera. It shoots UHD video in 4k quality and at 720 p. the camera shoots at 60 fps, which most people find appealing, as it adds a real-time feel to the video, as well as good dynamics. In addition to its camera, Phantom 3 features a gimbal that lets you mount a GoPro camera on it. Very good stock camera, 4k quality, 720p footage. Plenty of automatized flight options. The drone features a GoPro camera mount. 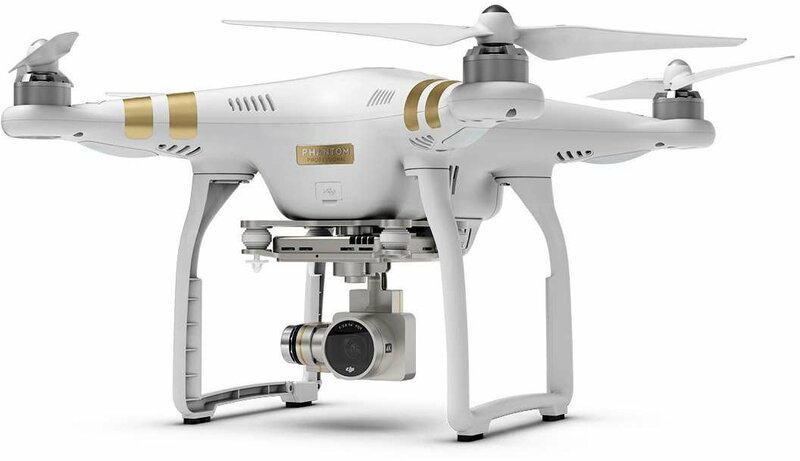 Meet Phantom 3’s big brother, the DJI Phantom 4 quadcopter. This craft is an upgraded version of the Phantom 3, but it retains many of the original features the previous model had. Just like the previous model, this is a high-class copter with great many things to offer to those who wish to breathe new life into their photography. Just like Phantom 3, Phantom 4 has many auto-flight options. It has a return home function that allows you to automatically recall the craft if you’re unsure about your location. In addition to that, the drone has an auto takeoff and auto land features that greatly assist the pilot, especially if the pilot isn’t the most experienced one. 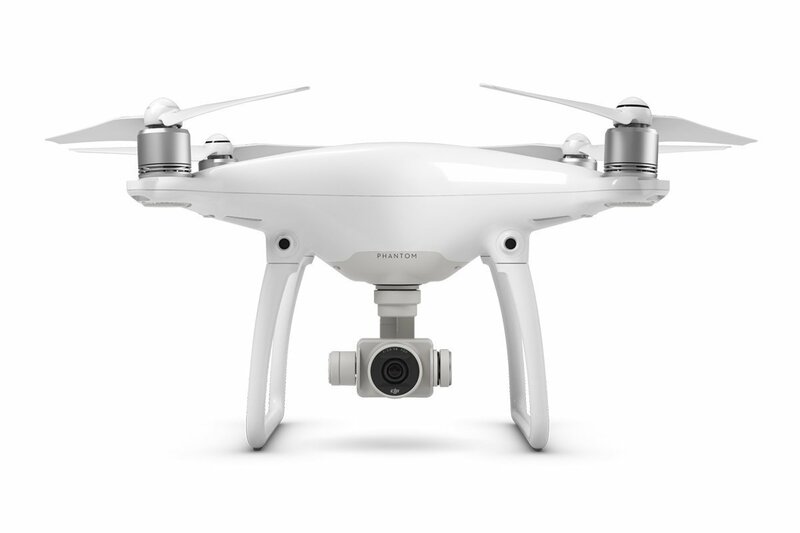 Phantom 4 features a 12 MP camera just like its baby brother, and its 2.8 lens gives you a wide field of vision and a crisp, clear and smooth image. It also has a gimbal mount onto which you can put a GoPro camera, further improving the quality of your photos and videos. However, there is one thing Phantom 4 is innovative about. The drone features a built-in video editor. This allows you to put in music, text, and create a video in video effect. An expensive piece of equipment. And our final product is the 3DR Solo quadcopter. This is a low-cost copter for its capabilities, and also a unique craft. 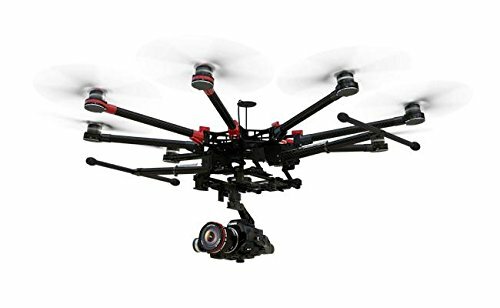 This copter is considered the world’s first smart drone and makes it a very desirable machine among photographers and videographers. The drone is called the world’s first smart drone because it is controlled by twin 1 GHz computers. These computers breathe new life into this machine and allow for the auto-flight functions to work better than other models. The drone can render reality better and read the situations better, allowing it to be more responsive. The drone features plenty auto flight options that contribute greatly to the quality of your photos and videos. It has a Cam Cable feature that allows you to leave the copter hovering and take control of the camera itself. It has a smart follow me function as well as a selfie function that positions the copter in front of you for a dazzling self-portrait. The drone doesn’t come with a camera, but the 3-axis gimbal mount allows you to attach a GoPro on it. Well, that’s all from us, folks. These are the best of the best drones for photography, cinematography, and videography. We chose products that have plenty of auto-flight features, as these puppies aid you to make better quality content. We also included products that have the option to mount a GoPro camera, as these are two great tools that, when combined, create marvelous art. The only thing left to say whichever drone suits you chose, make sure you have fun creating art with it above all else because that’s what these things are ultimately for.